Many companies are struggling with unstructured and manual processes that often result in expensive waste in time, cost and quality. You can implement a lean and systematic way of work, with clear responsibilities across your value chain, supported by easy to use web interfaces and mobile apps. You will work smarter and get ​a transparent view of your process, without having to replace existing systems. You are working with highly people dependent collaboration tasks that utilizes expensive assets and smart data. Kaizit is a truly cloud based system where you configure your own way of work (masterplans), supported by efficient tools that ensures operational excellence. ​ Kaizit manages your critical information and you can quicly implement specialised mobile apps in a cost effective way. 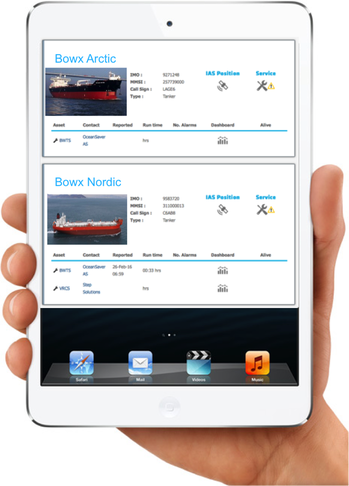 Kaizit digital platform makes it easy to implement a lean workflow and develop your own mobile apps and dashboards. We believe that the winners of tomorrow is able to leverage strategic partnerships across the globe and utilise smart data and modern cloud based technology to manage effective collaboration processes. Reduce costs - Work smarter by adapting effective processes that utilises low cost resources and become “best at what you do”. Global value chains - Develop strategic partnerships and effective digital collaboration in order to work globaly. Knowledge management - Simplify and standardise the way you work in order to ensure effective knowledge transfer and become less people dependent. People relations - Build long lasting relations with key people (xRM) and manage your strategic information. Kaizit streamlines the processes flow, manages your expensive assets and relations, and makes it easy for your people to do their tasks. Implement your new digital process and start working smarter in order to be more effective. Internal and external users are served tasks and tools, when they need it, on the phone, tablet/ipad or PC/Mac. Managers can focus on leadership and take corrective actions ahead of problems in order to reduce cost. Kaizit is developed in order to let you configure your own "way of work", without having to call for technical help. Kaizit is easy to implement, easy to use and easy to modify! Ensures use of your procedures and HSEQ system. Implement an effective workflow and clear responsibility. Work closely with your partners and share information. Proactive leadership and continuous improvement. With Kaizit you can do better! Kaizit is the foundation for an effective and scalable business process that takes you to the next level. ​at a fraction of the traditional cost - within days rather than years! practices that focus upon continuous improvement in your core processes"
Kaizit is provided at a subscription model that reduces as much as 80% of the traditional IT cost. You start without any need to involve other IT operations and have the freedom to integrate other systems over time. Kaizit is the new way of launching effective business apps that makes a difference - today!